Apparently; went the flight took off; it was already 9pm. That means we’ve wasted about 2 hours in KLIA, where we suppose to reach our destination by then. *sigh* What to do; safely comes first right. 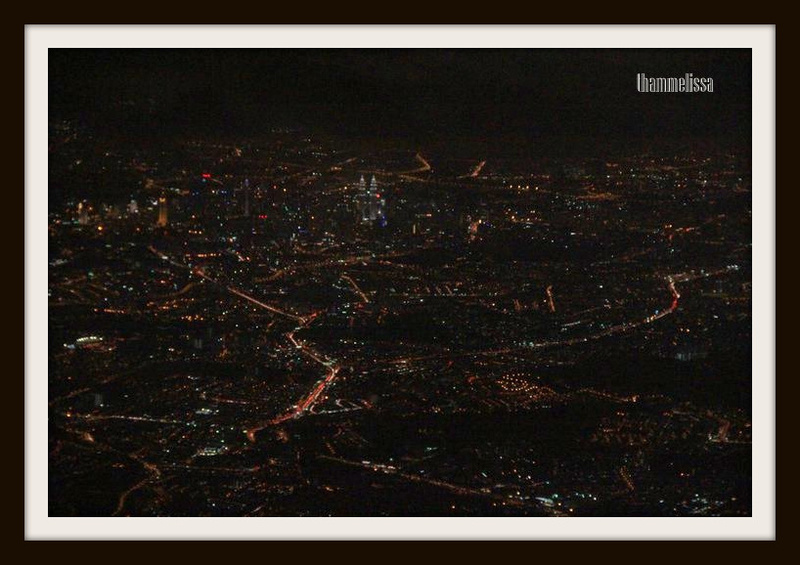 Managed to capture this shot; City of Lights when the plane just took off. Night view of KL. Well, can you spot the ‘Twin Tower’ ?? Wow thats a good shot from a plane. Now I miss Malaysia and its food. Hahaha…I must agree that food wise is the best! Ugh. This reminds me why I am glad I don’t live in KL. Nice shot, but metropolises like KL are not for me.